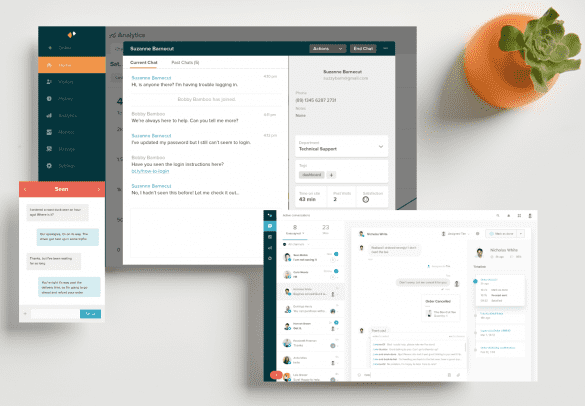 Intercom is a relatively new customer messaging software interested in improving the customer experience via messaging platforms, team collaboration products, and a valuable knowledge base solution. They’ve recently received $125 million in funding, which seemed to get everyone’s attention. Intercom plans to put this funding into research on machine learning technology instead of simply lining their pockets, so everyone’s curious to see what they’re doing and what the future has in store for them. Zendesk is one of the top helpdesk CRM software providers in the game. They have tons of products similar to Intercom’s — and some. These include chatbot software, messaging, team collaboration, knowledge base, analytics and reporting, call center software, and customer support. These products are capable of integrating with each other, offering customers more personalized customer experiences. Zendesk also offers users tons of APIs to customize the software to their liking. There are some key differences that we have to point out as well. We know throwing the word “better” around is subjective in the business world because there’s no one product that will give businesses everything they ask for at a reasonable price. However, these products, as you might already tell, also have tons of similarities, so what better way to explain what they are than to put them head-to-head against each other. We’ll showcase what each provider is doing, what they offer in terms of features, apps and integrations, support for users, pricing, and APIs for customization purposes. If you want to jump around the article, use our table of contents to navigate between major sections. Before we dive into the head-to-head, it’s important for you to understand what Intercom and Zendesk offer. We’re going to quickly discuss some important features and which products actually align with each other because Zendesk is a bigger company with much more to offer customers. Intercom describes itself as a customer messaging platform. Based on the three products they offer (Messages, Inbox, and Articles), they can also be seen as a helpdesk software solution. Let’s discuss what each product does. Messages is all about sending targeted, personalized messages to customers and receiving notifications whenever customers interact with your business. These notifications can also be triggered by time, so those who aren’t interacting with your business aren’t completely forgotten. Inbox focuses on the organizational aspect of all those messages your business is sending and receiving. Users can assign, reply to, and close conversations across their entire website with Inbox. This includes in apps and social media. Intercom, essentially, is offering businesses an omnichannel approach to customers interested in reaching out with whatever channel they’re most comfortable with. Articles offers businesses a knowledge base for their customers interested in self-service customer support options. Articles can be created by support agents and can be accessed even on smartphones and tablets. Zendesk offers seven different products for businesses interested in helpdesk CRM software (Here’s our Beginner’s Guide to Understanding Helpdesk Software) to choose from. We’re going to focus on four products that we (Zendesk Chat, Zendesk Message, Zendesk Inbox, and Zendesk Guide) consider to be the closest comparisons to what Intercom offers their customers. Let’s see what they do. Zendesk Chat is most comparable to Intercom’s Messages product. Zendesk Chat allows businesses to reach their customers instantly via web, mobile, and messaging. 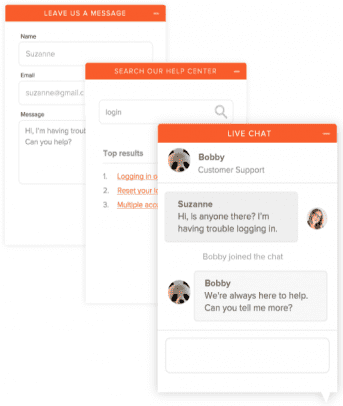 Live chat is not a unique feature in helpdesk CRM software by any means, but being able to chat with customers through channels like social media can personalize conversations to increase the overall customer experience. Zendesk Message is actually a part of Zendesk Chat. The two products can work simultaneously together for businesses interested in specifically using Facebook and Twitter for different live chat channels. Zendesk Message also offers businesses a chatbot that can automate mundane tasks that keep agents away from the more important matters. Zendesk Inbox, as you could probably guess, matches up closest with Intercom’s Inbox. Zendesk Inbox’s main focus is for businesses to have a single inbox that can be accessed anywhere and by any team member. This helps to keep emails organized so everyone on a team knows who’s talking to who and can join in if necessary. Zendesk Guide is Zendesk’s knowledge base solution that offers users easy access to articles for customers looking to take advantage of self-service options instead of dealing with agents. Zendesk uses a chatbot called Answer Bot to help customers navigate the knowledge base easier. Both providers are very similar to each other in terms of what they offer. The differences come in the features they provide, what each company provides as a whole, and how they go about ensuring customers receive personalized and positive experiences every single time. Now the fun begins… Let’s look at some of the important features and pricing plans to see which provider offers your business the best bang for your buck. We’re going to start with Intercom Messages. Messages, as we said, is meant for sending targeted, personalized messages to customers based on time passed or certain behaviors. Judging by their prices, businesses of any size can take advantage of the software. Not only do businesses receive less than half the features if they stick to the Essential plan over the Pro plan, but they lose out on some very standard features that helpdesk CRM software would find to be standard. Zendesk’s Enterprise plan for one agent is worth more than Intercom’s Pro plan for up to 100 people. Zendesk Chat’s Enterprise plan also pales in comparison to Intercom Messages’ extensive feature list. Even with Zendesk Message’s features and chatbot, Intercom appears to be the smarter choice price-wise. Uses channels like Facebook and Twitter to bring more personalized chat and support experiences to customers. Bots can be used to personalize interactions, handle simple tasks, and direct customers to agents if necessary. 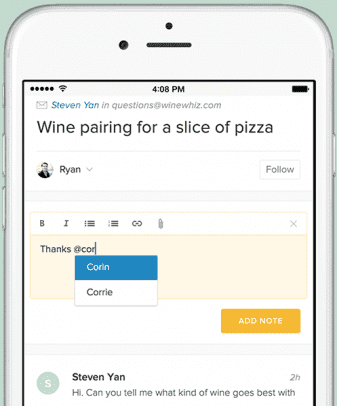 Team collaboration features allow agents to assign tasks to each other and resolve conversations to create more fluid workflows. Agents can also use rich media to give conversations a more personalized, visual aspect. The Verdict: Intercom – We typically encourage users to buy products based on their own specific needs because the size of a provider’s features list doesn’t necessarily mean they’ll transfer over to your business’ strategy; however, if you’re a small business looking to improve your support team’s reliability and are looking to improve the overall customer experience through personalized messaging features, Intercom Messages is the smarter choice. Intercom has an extensive list of integrations and features businesses of any size can take advantage of. This includes enterprises. Businesses can A/B test messages to make sure they’ll perform effectively; businesses can gain valuable insights regarding their messages through customer feedback; businesses can integrate with Salesforce to take advantage of other customer data to further target customers; businesses can send automated messages based on time- and behavior-related triggers. Intercom Inbox helps Intercom users manage conversations with leads and customers in the business’ apps, inbox, and social media. Again, the focus is the customer experience and providing customers with an omnichannel support solution. Let’s look at how Intercom Inbox holds up in terms of price. Intercom Inbox switches their pricing from Messages’ by going to a price-per-seat format. One thing to keep in mind is that users have to purchase two seats in order to use Inbox, but every seat after that is only $19 per month. Again, there’s a significant difference between the Essential and Pro plans; however, the number of features offered between the two plans is much closer than with Intercom Messages. As you can see, the difference between features offered between both plans is substantially smaller. This actually gives small businesses something to think about when deciding between plans that work best for them. The features not included in the Essential plan also aren’t as game-changing as in Intercom Messages. Now it’s Zendesk’s turn in the hot seat. 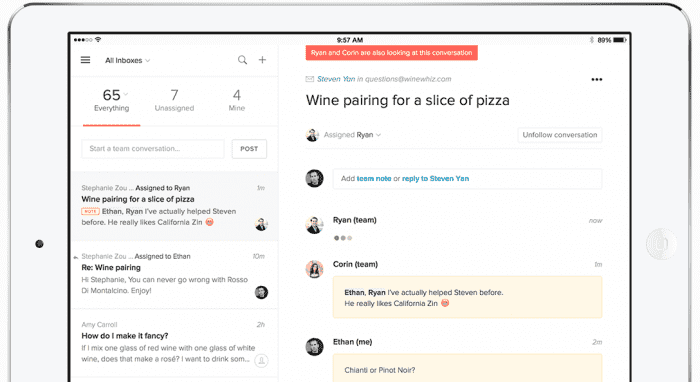 Similarly to Intercom Inbox, Zendesk’s product offers teams an inbox that can be accessed by anyone anywhere. It even uses a bot to help users navigate the software and send emails to customers automatically — but how does it compare to Intercom Inbox? As it turns out, Zendesk Inbox is a very new Zendesk product still in its beta period. There’s no way of knowing if Zendesk’s features will be worth the price, but this doesn’t mean we can’t break down what the features are anyway. What matters most is that your business is choosing the provider with features that best fit your business’ needs. So let’s dive into features! Inline Notifications: Share information with your teammates by @mentioning them in your internal team notes. They’ll be notified via email or browser. 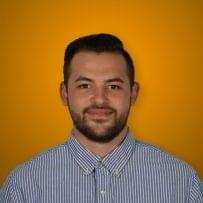 Sort Emails: Assign an email to yourself or delegate to a team member. Omnichannel Support: Most products can work and integrate with each other to give users a more personalized experience. Chatbot Integration: Chat integration can help Zendesk users implement chatbot software in any of its products. A huge plus is that this is AI-backed. Insights and Analytics: Measure team’s performance. Prescriptive dashboards from the Zendesk Explore integration showcase the analyses that matter most for team operations and customer experience. Zendesk Explore enables anyone to create custom metrics, reports, and dashboards, and even perform data joins—without SQL. Verdict: Intercom – Based on the features alone, Intercom gets the upper hand over Zendesk. As of right now, there’s not enough information on Zendesk Inbox that suggests they will offer better features than Intercom. Like we said: the number of features doesn’t matter; it’s the quality that counts. Intercom simply has both. This doesn’t mean that Zendesk isn’t a bad product. Zendesk has the ability to integrate its products with each other, so even though customers don’t have all the tools they need in front of them, there’s room for growth through integrations like Zendesk Explore and Support, which are both more well-rounded tools for SMBs. Intercom Articles, as we mentioned, is a knowledge base product for users interested in providing their customers with a self-service support option that will improve the customer experience while giving agents the freedom to handle more important issues that truly need an agent to work on. As with the other products, we’re going to first look at pricing. Nice and straightforward. One thing, however, is that the price alone is considerably high for a product that is nothing more than a standard feature in helpdesk CRM software. The ability to publish unlimited articles is nice, but we’re going to need to know more to justify the cost. 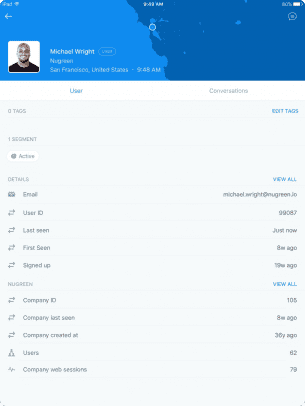 Intercom’s features list contains a lot of great features for businesses to take advantage of. 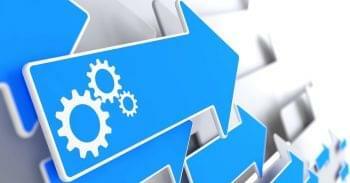 Articles is clearly designed for support teams to make changes on the fly in order to ensure customers can constantly use it as a valuable self-service solution. Zendesk Guide is a powerful knowledge base product just like Intercom Articles. Users can take advantage of many of the same features Intercom offers. Zendesk understands how important self-service support options are, so let’s look at how much it costs users for these options, and what they are exactly. Zendesk has multiple plans, including one free plan, that makes it easy for businesses to adopt the software. Unlike Intercom Articles, Guide requires users to pay per user, forcing small businesses who want to use the Enterprise plan to limit the number of users with access. Now it’s time to see if the features make the prices worthwhile. Verdict: Zendesk Guide – The edge goes to Zendesk Guide for self-service and knowledge base software. Zendesk Guide not only has more features than Intercom Articles, but it integrates with the rest of Zendesk’s helpdesk CRM software products. This is huge because users can work with products like Zendesk Explore, Inbox, Chat, Talk, and Support. 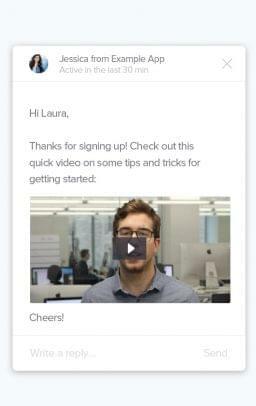 Intercom Guide has one flat price and offers many of the same features Zendesk Guide has, which makes it much more accessible for businesses interested in allowing their teams to have complete access over the helpdesk software instead of settling with only one or two agents having control over Zendesk Guide. Unfortunately, this isn’t enough to beat out Zendesk Guide. The cost would be significantly higher for SMBs interested in giving their entire teams access to the helpdesk CRM software, but that isn’t necessary either. Plus, if an SMB is already using Zendesk, there is no need to worry about the back in forth between two different products. Final Verdict: Intercom – After looking at all three products by Intercom and Zendesk, we’ve determined that Intercom is the best bet for small businesses interested in helpdesk and customer messaging software. Intercom is an overall cheaper option for small businesses because each product has a fixed price as opposed to Zendesk’s products, which are all priced per user. This allows businesses who wish to have all their members on the same page to be able to use Intercom collaboratively. This isn’t a make or break strategy by any means, but giving businesses the ability to work together and work from the same software improves the user experience which naturally improves the customer experience as well. Zendesk offers businesses tons of integrations, which are a huge help for making their software a much more powerful tool for businesses interested in giving their support teams a more seamless experience; however, those who don’t already have Zendesk products and are just starting out as a business would be taking on a significant initial cost that might be out of budget. Intercom’s products contain all the features an SMB would need for boosting the effectiveness of their messaging and helpdesk goals. Intercom even offers a Zendesk integration to help make up for the lack of features in comparison to Zendesk. Overall, Intercom has all the bases covered and users have to sacrifice very little. Both Intercom and Zendesk offer businesses integrations that can be used to make the software more powerful and personalized. This is essential for customers looking to purchase helpdesk software because every customer is different, and every business attracts a certain type of customer. Personalized customer experiences are essential, but it’s impossible for any one provider to offer a solution that caters to everyone. As you can see, customers can get all the basics covered with either Zendesk or Intercom. Both providers offer integrations with each other, which means we can just buy both and call it a day (kidding!). What it actually means is that both providers offer very similar products to one another, and both recognize that the other has features that are beneficial to each other. However, someone has to win. This is, after all, the ultimate head-to-head showdown in 2018! Verdict: Zendesk – Zendesk comes out victorious for two significant reasons. The first is that Zendesk offers more helpdesk solutions than Intercom, who focuses mostly on customer messaging solutions. Zendesk, being a helpdesk CRM software provider, offers a much wider range of solutions that cover areas that Intercom doesn’t. One major example is reporting and analytics. Intercom lets businesses receive feedback from their customers, but that’s not enough. The second major deciding factor is the sheer number of apps and integrations Zendesk offers over Intercom. Intercom offers sixty-five integrations with other companies. Zendesk offers over 700 apps and integrations. Will businesses ever use all 700 apps and integrations? Of course not, but it does suggest that there is something out there for everyone. Intercom doesn’t seem to showcase any apps for their customers, but they do offer a Zapier integration that helps fill that void. The reason why this doesn’t even things out is that Zendesk has that too, meaning those 700 apps and integrations are actually over 1,000. It’s time to get a little more specific in terms of features. 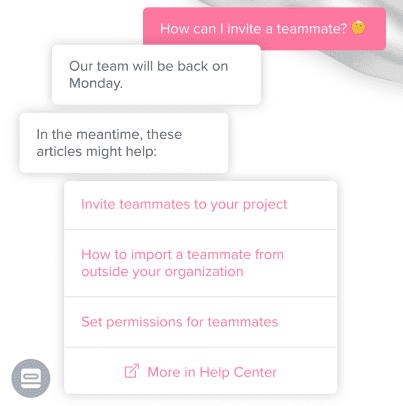 You may have noticed that Intercom and Zendesk offer their own chatbots: Operator Bot and Answer Bot. Operator Bot belongs to Intercom, while Answer Bot belongs to Zendesk. We’re going to talk a little bit about what they do, why they matter, and which one performs better. Operator Bot is advertised as a powerful chatbot that can handle simple tasks; in reality, those simple tasks are actually much better than what they realize. Many chatbots aren’t capable of offering contextual, personalized experiences with customers, leading to frustration and distancing of the customer. Operator bot fixes this by perfecting the simple tasks. Some of these tasks include identifying and routing customers to support and sales agents. This seems simple, but it makes the world of a difference when you’re an existing customer who’s frustrated with a product, and the quick and easy solution can be found through a chatbot, but it won’t stop trying to sell you the product you already don’t like. Operator Bot can also qualify sales leads, asking people for their information, assigning leads to agents, and integrating them with Salesforce for future interactions. This is not something typical chatbots do. Operator Bot can be seen more as an assistant. This is also proven by Operator Bot’s ability to schedule sales meetings, answer users faster who are looking for help by directing them to knowledge base articles, close conversations properly so customers don’t feel like they’ve been ghosted, and ask for feedback by asking customers to rate the conversation. Answer Bot is advertised to be more like a personal assistant than a chatbot for Zendesk Guide users. There are many similar features between the two chatbots, but there’s one significant difference between Answer Bot and Operator Bot: Machine learning technology. AI is a powerful tool many helpdesk CRM software providers are implementing in their products — especially in their chatbots. AI, to be extremely brief, can scan unimaginable amounts of data at incredibly fast speeds, recognize patterns in the data based on previous interactions and behavior, and take advantage of natural language processing to handle more complicated tasks and respond to customers without sounding robotic. Zendesk outlines on their website what Answer Bot is capable of in a very easy-to-understand, step-by-step fashion, letting customers know exactly what they’re getting into. Let’s break down the steps Answer Bot takes when a customer reaches out with a question via email. Step 1: Answer Bot will scan the email to understand what the question is about. Step 2: Answer Bot will use its AI-powered software to suggest relevant articles to the customer. Step 3: The customer reviews the articles and determines whether or not their question was solved. If so, they mark it as answered. Step 4: If necessary, the question will be answered by an agent. Step 5: Answer Bot automatically collects feedback for future interactions. Operator Bot doesn’t use AI or advanced natural language processing tools, but it’s just as effective for SMBs at no additional cost. It works with Intercom’s Articles and Inbox software, whereas Zendesk’s Answer Bot works exclusively with Zendesk Guide. Answer Bot is also $50 per month. This alone makes it difficult for SMBs who are already paying a good amount of money for Zendesk Guide to commit to one of the important add-ons that make the service all the more powerful. There are other helpdesk CRM software providers that offer chatbots with their software. Intercom’s Operator Bot is the better bot overall. Mobility has become an imperative for business software companies, whether it’s CRM software or customer messaging software. Agents aren’t always in the office, and customer inquiries don’t stop at 5 pm when the workday is closed. Giving agents the ability to provide a positive customer experience from anywhere using an Android or Apple product. We’re now going to look at which company offers the best mobility features. Intercom offers users two slightly different mobility solutions. The first is called Intercom Mobile, where Intercom makes it easier for users to include Intercom’s customer messaging software on other apps. This means that customers who wish to use Intercom on their mobile app can do so and receive information on who their users are and how they use the app. Some features include onboarding and sending notifications. 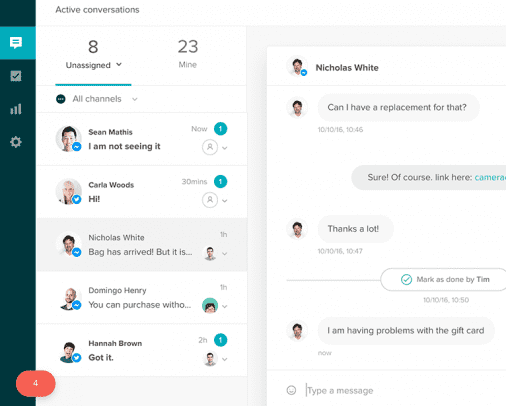 With Zendesk Chat and Message, users can connect with their customers on a scalable app where agents can manage multiple profiles on one dashboard, get context on customer conversations, and transfer questions from your chatbot into Message. Users, like with Intercom, can use Zendesk Chat and Message on their own apps so users can communicate with their customers via Zendesk. This is possible through developer-friendly SDK. It only takes a couple lines of code. Verdict: Intercom – compared to Zendesk Chat and Message’s mobile app is better simply because of the team collaboration feature. For support teams, having agents on the same page is an absolute essential because if a customer works with two agents and receives two different answers, they’re not getting anything of value out of the experience. Zendesk Inbox, being that it’s still in beta-testing mode, doesn’t explicitly say that there is a mobile app, but judging by the pictures on the product page, Inbox will be accessible for users on their phones and tablets. If the pictures are accurate representations of what the app will look like, users are in for a pleasant surprise. These apps need to be visually appealing in order for users to really commit to them. Verdict: Intercom – Intercom, by default, wins. 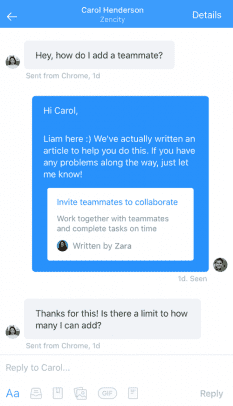 Zendesk Inbox focuses primarily on team collaboration tools, which is what gives Intercom such a competitive edge over Zendesk’s individual mobile apps, but there’s not enough information to make a valid conclusion on which one is better. 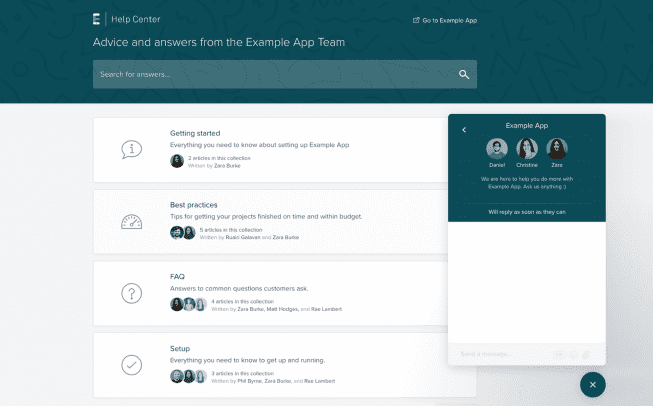 Zendesk’s Knowledge Capture App is a great tool for businesses looking to improve their knowledge base on the go. Agents can help customers by finding articles while also flagging outdated ones that might lead to confusion. 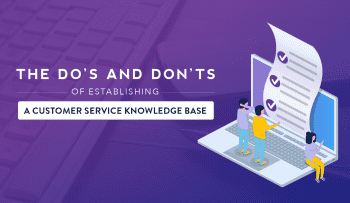 Themes for the knowledge base are pre-designed and mobile-friendly, which means users will have the same visually-appealing experience across all platforms. This is especially important for users who prefer to use mobile channels over others. Omnichannel experiences are a significant trend in 2018 for this exact reason. Verdict: Intercom – Intercom wins again. The overall effectiveness of their mobile app doesn’t give Zendesk a chance. Granted, Zendesk Guide is a specific product with a mobile app catered to that product specifically. However, Intercom’s mobile app crosses over between its products more seamlessly, which is important for users who use one or more of their products. I can have a cheeseburger. Final Verdict: Zendesk – Although Intercom has a powerful mobile app that works seamlessly between each of its products, the edge goes to Zendesk for being able to offer customers a mobile app for each individual product. When compared side-by-side, Intercom wins out because it offers more features than the more specific Zendesk mobile apps. At the end of the day, customers have to have access to apps that are catered specifically to their needs, which gives Zendesk the upper hand. Intercom has a variety of tools for users who wish to contact them. They offer a live chat tool for users where agents will determine how big of an issue a user has. Right on their menu, they offer customers a resource tab with all the channels customers can choose from. Let’s look at the resources tab more closely. Blog – Latest articles on sales, marketing, product management, startups, and more. Zendesk has another vast resources tab for its users who wish to learn more about how to best use Zendesk. 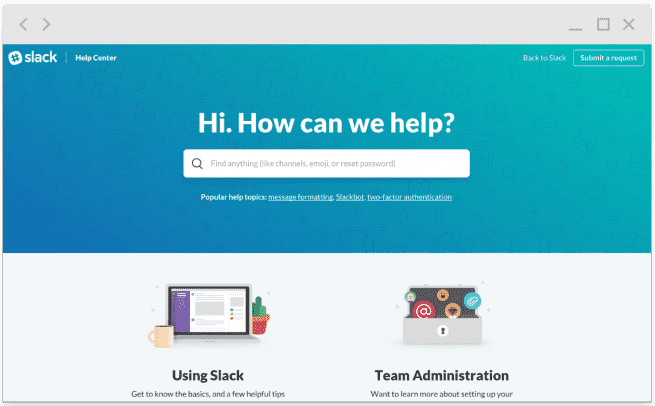 There are popular articles about the most recent business trends and about what Zendesk is currently up to, there are multiple support channels for users, and a services page focused entirely on improving the customer experience. Let’s look at the channels Zendesk offers customers. Those who wish to contact Zendesk for support can reach them via phone, at any of their international offices as well. They also provide users with a map of where their headquarters in San Francisco are so they can visit in person if necessary. That can all be found here. Verdict: Zendesk – Zendesk wins overwhelmingly. There are tons of blogs for all topics related to helpdesk CRM software and business software trends. Intercom’s support service is more focused on the product itself, which is good because simplicity is typically a good thing versus getting lost in a sea of information. However, Zendesk breaks down all their information in an extremely accessible way so anyone can find exactly what they’re looking for. Blogs can be filtered to show only articles that are related to exactly what you want; there are multiple pages where customers can simply call Zendesk or even stop by their headquarters if they’re in San Francisco. Intercom does not offer the best omnichannel customer support experience for its customers. As far as we can tell, everyone is required to first use their live chat software to determine whether or not the inquiry is worthy of speaking to an agent about. This is great for Intercom because they can give their agents the freedom to focus only on the bigger issues at hand, but this can alienate those who wish to call them and save time. Zendesk is a much bigger company than Intercom in terms of products offered, so they need to be accessible in order to practice what they preach. By offering their customers multiple channels to choose from to reach out, their customers are more likely to reach out for help knowing they can do so in the way that they’re most comfortable with instead of trying to figure it out on their own and not quite getting it. Zendesk even offers training and a demo so users can get a taste of what they’re getting into before diving in. Intercom offers a free trial, but the hands-on training is much more effective. Some helpdesk CRM providers even require training to ensure their customers are using the software to the best of their ability. After careful consideration, we’ve decided that Zendesk is the better solution for those who wish to have a complete helpdesk CRM software experience. Zendesk has tons of products for businesses that are similar to Intercom’s, and some. They offer analytics, they have contact data management tools, and they offer a campaign product to help businesses stay on top of their customers. The state of CRM software in 2018 is simply too strong for smaller platforms like Intercom to put head-to-head with. Intercom is a powerful product for what it prioritizes, which is customer messaging. Giving customers a way to contact the businesses they interact with will help to improve the overall customer experience, but there’s so much more out there with companies like Zendesk who offer everything we’ve already mentioned. They have powerful integrations that help make up for the lack of products, but so does Zendesk. Let’s look one more time at the main features Intercom and Zendesk offer, so we can leave you with the product that ultimately fits your business’ needs the best. 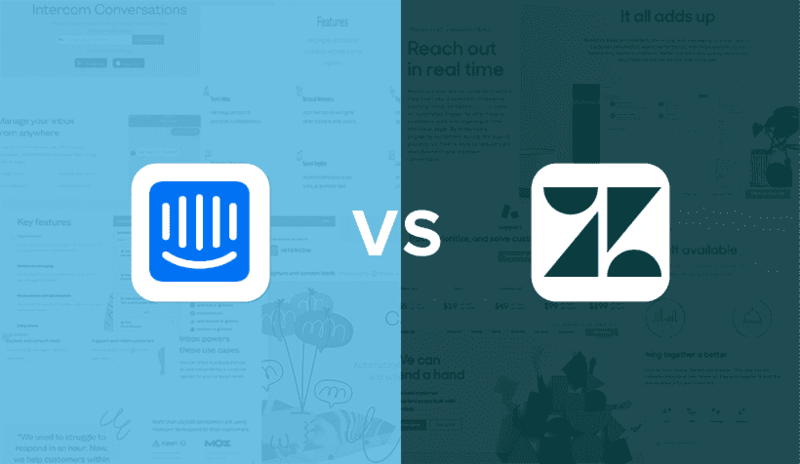 Just because Zendesk wins our head-to-head doesn’t mean Intercom should not be considered. Intercom had an overwhelming advantage over Zendesk in terms of features offered and the best bang for your buck. This is absolutely huge from an SMB manager’s point of view because businesses don’t have the initial funding needed to purchase helpdesk CRM software solutions like Zendesk. Intercom is a great tool for SMBs who are simply looking to give their customers a better way of interacting with the support team. They should absolutely be taken seriously when considering software that will improve the customer experience. After all, they would not have received over $100 million in funding if they were doing something wrong.